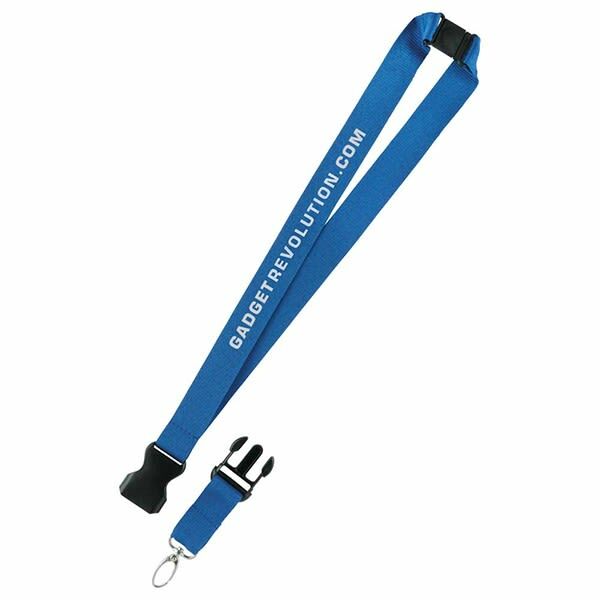 This quality custom polyester lanyard is extra large to make a bigger impression. 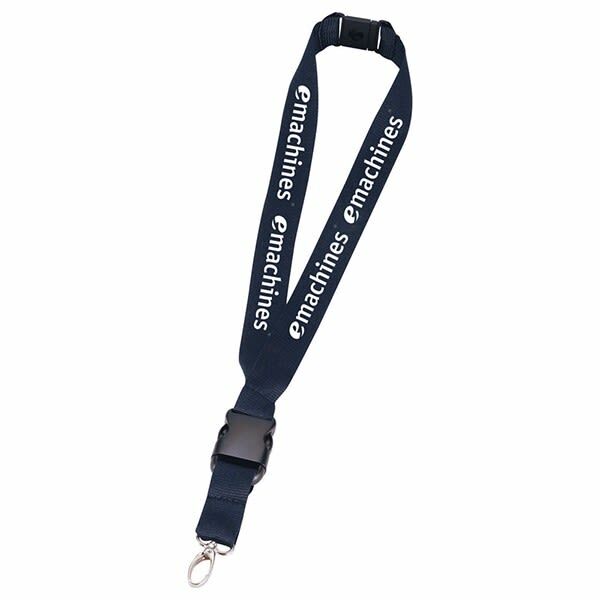 With a one inch width, names and logos jump out. Have your staff wear them at the next trade show for an effortless promotion. Alternatively, you can give them out with admittance at the big convention to promote your sponsors. Also great for tours, gift shops, and plenty more. 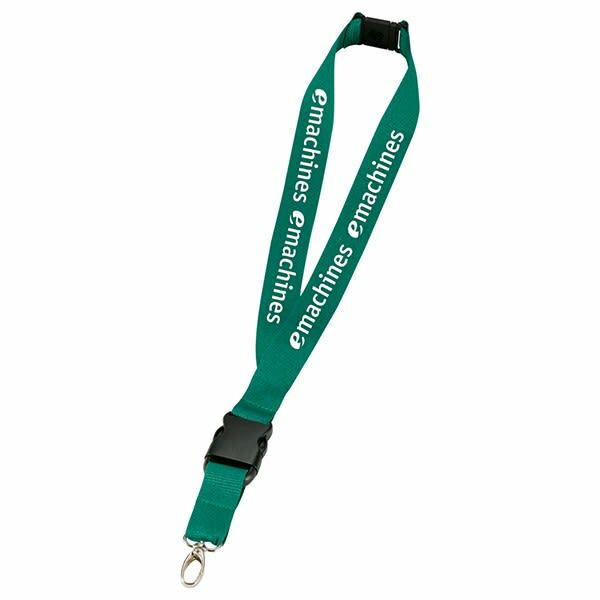 Whatever your plans, we want to help you create the perfect lanyard. 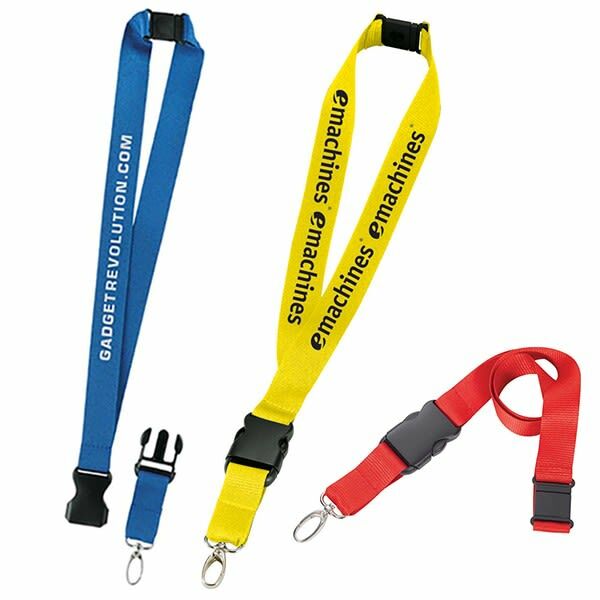 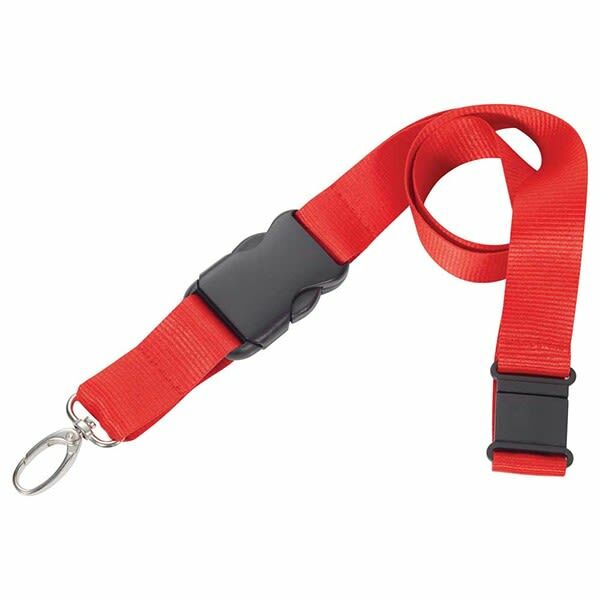 Features a detachable plastic clip with a wide metal swivel hook and a breakaway neck clip for safety. 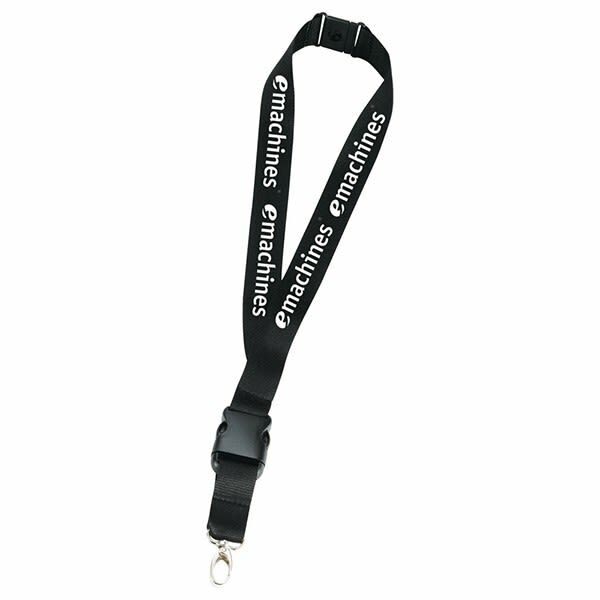 Your price includes a one-color imprint on both straps. You can even use a different design on each strap for an added cost. 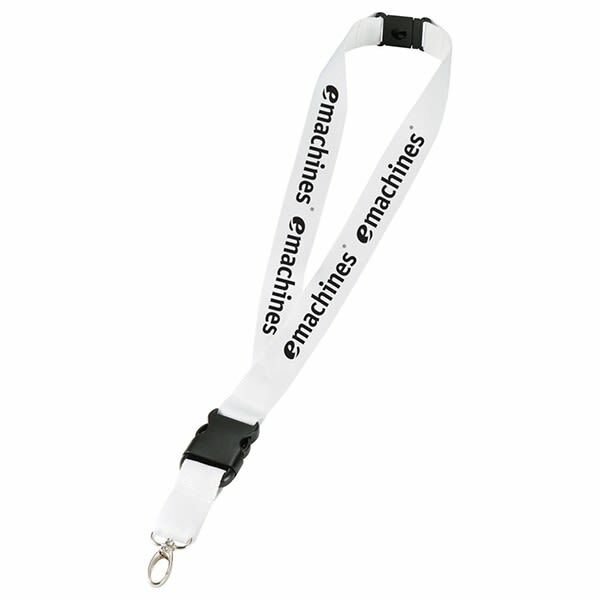 Please call for more information about pricing for optional badge holders.